The Milky Way Galaxy of the 23rd century is a brutal place. The malevolent Drengin Empire and their allies, the Yor reign supreme. Earth and its allies have been defeated and in most cases, occupied by Drengin shock troops. Earth itself remains free, protected behind an energy shield put in place by DL Bradley, commander of the Terran fleet just before they vanished. Though protected, it is surrounded by an armada of Drengin ships. The ancient Precursors are gone forever. There will be no help from the benevolent Arnor. And this, my friends, is where things were left off at the end of the best-selling, critically acclaimed PC Strategy game, Galactic Civilizations II: Ultimate Edition. But it isn’t the end. That’s all I can say on that for awhile. Fire-Watch pointed out that I’ll need to get a virtual image of Windows XP going in order to program GalCiv. Otherwise, I’d have to take some people off of Elemental to migrate the GalCiv II project to Visual Studio 2005 or 2008. Right now, I’m on a bit of a sabbatical to get back to focusing on tech. So installing a virtual PC image (or VM Ware) is kind of cool. I’ll let you guys know how it goes as I’m doing it. So I’m on a sabbatical which was planned a long while ago. Basically, it’s an opportunity for me to get back to my roots. One of the things I’m working on during sabbatical is GalCiv II (Twilight of the Arnor). It’ll be lots of little tweaks and improvements (AI, gameplay, balance, bug fixing). But this is the kind of thing I enjoy but can only justify on vacation. It seems like for the last couple of years my role has been less CEO and more fire fighter anyway. While the company I work at has grown tremendously since GalCiv II’s release, my ability to work on the things I enjoy has diminished. Ironically, what I’m best at is running a business which, if you think about it, is a lot like playing a strategy game. Perhaps I owe everything to Sid Meijer after all. I’m going through the posts I made previously to see which things I can nail the easiest. Stay tuned. 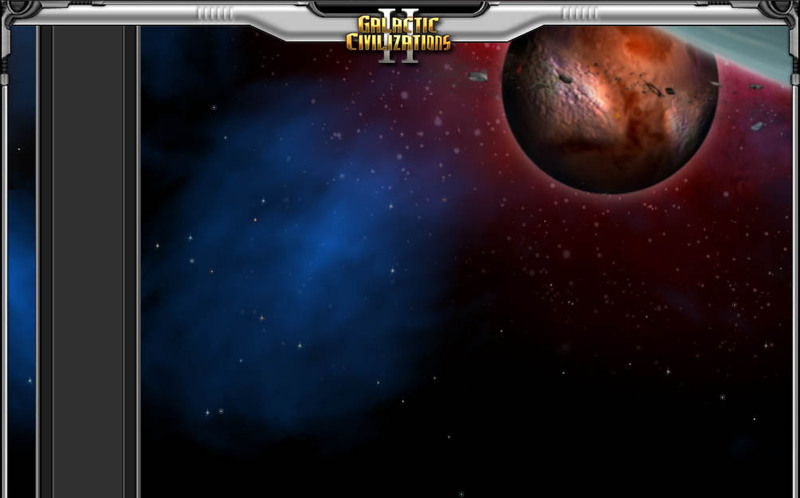 Galactic Civilizations II still sells amazingly well. Both at retail and digitally. As a token of thanks, I was thinking of working on an update in my spare time after I turn in the book manuscript next month. Are there any small updates you guys would like to see in there? Mind you, it would be just be me. On a couple of cold weekends doing this.